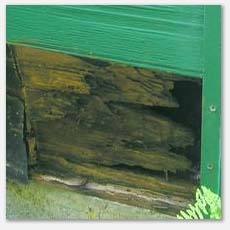 This a picture of damaged siding and rim joists from wood destroying organisms. By working hand in hand with WSU's Entomology dept we verified the wood destroying organisms and able to advise on elimination of conducive conditions and monitoring for further infestations. This is frass, debris or excrement produced by insects. This piles were in regular intervals along the base of the homes exterior wall. After carefully looking at it, we determined that it was not sand and the regular intervals aligned perfectly with the floor joists. I removed some of the insulation that covered the rim on the outside of the building and I found moisture ants, lots of them and extensive damage to the structure. There were about 15 joists visible, and 15 neat piles of frass. 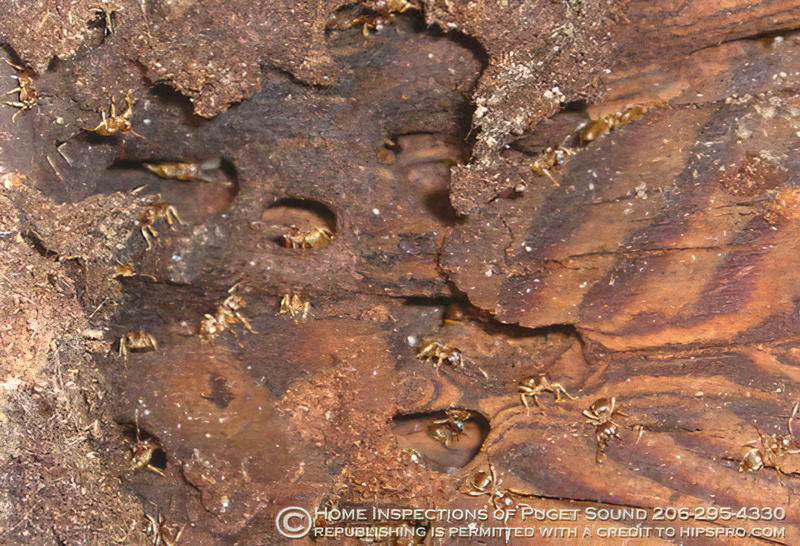 Every single joist we looked at was covered in these pesky pests at this end of the home. We took careful note of this area of the home and proceeded to explore the exterior to determine what were the contributing problems that causes this infestations. 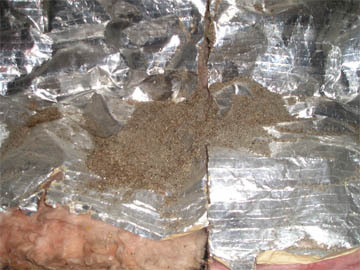 Note the extensive damage that moisture ants caused in this home.